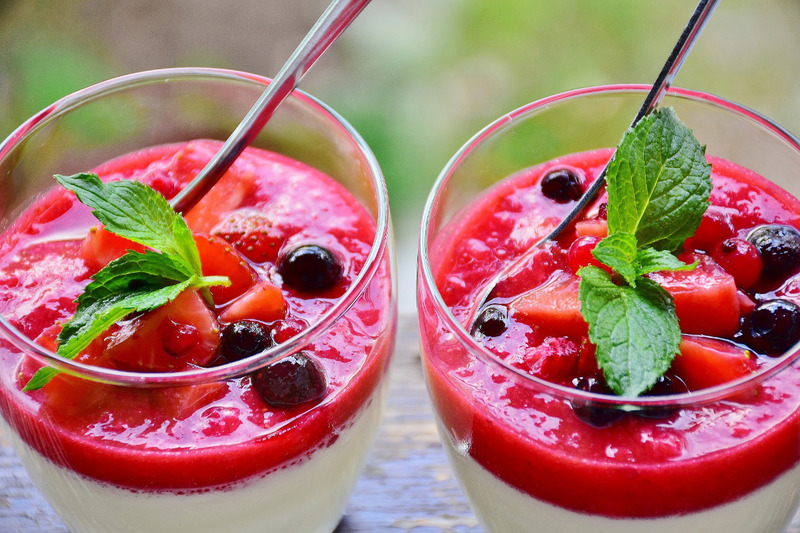 Panna cotta is a Decadent Dessert that will leave you absolutely begging for more. Of all the many Piedmont dessert recipes panna cotta is perhaps the most well known of them all, with the great Bonet coming in a close second. Panna cotta, which simply means cooked cream in English, is to be found in restaurants of all types, everywhere throughout one of the loveliest regions in all of Italy -the Piedmont region (click here for nine reasons to add Piedmont to your bucket list NOW!). Getting back to the recipe, It is very easy to make plus delicious. Just the thing you need to end off a perfect Italian - style dinner. Served with a fresh berry sauce this dish always has me longing for Italian summers - so many memories. •	3/4 tsp. of gelatin (colla di pesce) - vegetarians, or those who don't like gelatin, can use four egg whites instead. 1) Dissolve the gelatin in the cream for about 5 minutes. 2) Combine with the remaining ingredients in a medium saucepan and cook over a medium heat, stir occasionally until the sugar dissolves and the first bubbles begin to appear around the edges of your pan. 3) Once the bubbling has begun quickly remove the pan from the heat before it boils fully and stir until it is all completely mixed together. 4) Pour the mixture into small baking dishes and set it in the refrigerator for at least 4 hours but it really does taste much better if you can leave it overnight. 5) Serve with fresh fruit, balsamic vinegar (a nice thick high quality balsamico otherwise don't bother), port, or a sweet sauce - a berry sauce and a sprig of mint is my favorite way of serving the dish.